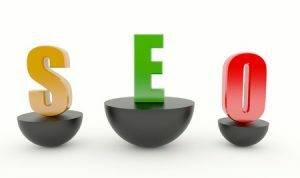 For years, the basics of search engine optimization have remained remarkably similar. There is a need to build links, use keywords, optimize web pages and other produce quality content. Brands that adhere to these basic principles often do better than their peers who don’t, but this increasingly is not the full picture. Elements such as social signals are increasingly playing a role in both the amount of traffic websites receive and how search engines view them. While building links via social media is not the same as earning backlinks through blogs and websites, it’s still a valuable tactic. We’ll discuss today whether or not some social media platforms are inherently better for SEO than others. The answers may surprise you. First of all, it’s important to understand why social media is such a valuable commodity, SEO benefits or not. There are two major reasons why you want to have a social media presence across one or more social media networks. The first one is that social media makes it much easier for you to build an audience and reach people who are interested in your brand. Several businesses have grown from little-known entities into major organizations thanks to their social media strategies. The second reason for social media is to ensure that the content you’re already pinging your website with is viewed by a larger audience. There are plenty of people who will never search for your content via Google but who will see it through social media. These two reasons are powerful justifications for an active social media presence. Facebook, the largest and most common social media network, has plenty of benefits to consider. Most notably is the sheer size of the audience: you can reach more than one billion unique people through Facebook. Whether you choose to advertise via the platform or use a more organic approach, you’ll find that larger and broader audiences are more prevalent on Facebook than anywhere else. Because of the activity level, this is also where the most social signals are generated. Instagram is the next most popular social media platform, and offers a different take on socializing than Facebook. Organic reach on Instagram is among the best, so it can be easier for small brands with little to no ad revenue to begin generating interest on here. Unfortunately, you are not able to link to your content via Instagram, making it less than ideal for distributing content not specific to Instagram itself. Does social media help SEO? Arguably, yes: social signals do influence search engine results to some degree. As far as which platforms provide more SEO benefit, there doesn’t appear to be any clear contender overall. Each social network can provide unique benefits depending on your brand.